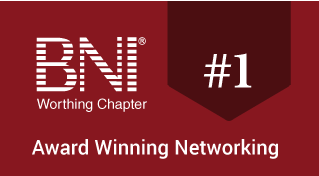 Here are the top ten ways to prevent other BNI members from giving you good referrals. Show up late or multi-task during the meeting. Don’t invite your own guests. Use other people’s 60-second presentation time to think about what to say yourself. Focus your efforts on selling your services to the members. Don’t rush following up on a member referral. Use one-to-one’s to talk about the chapter. Wing it with your 60-second presentation. Use your 10-minute presentation to explain minute details of how your business works. Air your grievances among your table-mates and guests. What are your suggestions for the top ways to waste time in BNI? Let us know by clicking here. Top 10 Ways to Waste Your Time in BNI. Your BNI seat in this chapter, the chapter that you’re a member of, is worth a considerable amount of money. If you calculate the time you spend each week and the business value of your time, you don’t want to squander that money. Now, success in BNI comes when the rest of the chapter members trust you enough to open up their best referrals to you, not just their normal referrals, but their best referrals. And that comes when they have seen you work, when you have earned trust with them by demonstrating your professionalism at all times. Number 1: show up late or multitask during the meetings. Don’t be there on time and be texting while the meeting is going on or walk away for telephone calls. That’s a great waste of time in BNI. It doesn’t really make a difference if you’re there. One of the things I’ve always said to BNI members, “How many of you have ever gotten a haircut over the phone?” It’s one of those things where you’ve got to actually be there in order to make it work for you, so being absent is not going to generate referrals for you. Number 3: why invite your own guests? Just focus on those who show up. It’s really interesting; the strongest chapters of BNI are chapters that have a lot of interrelated relationships in terms of business, people who know each other. Because when you bring in somebody that you know there’s a trust level that exists, and the more you have people that you know and that you’re meeting with regularly, the faster the confidence curve moves. And so you want to be bringing in your own people. Number 4: use other people’s 60-second presentation time to think about what referrals you should be giving or what presentation you’re going to be giving. That’s a great waste of BNI time. Don’t think about what referrals to give or what presentation to give while other people are doing their 60-second presentation. You want to focus on their 60-second presentation so that you can think of ways that you can actually refer them. Number 5: focus your efforts on selling your services to the members. BNI is really about training a referral team, not closing a sale. And so if you come to the BNI meetings thinking that you’re just going to close sales, you’re missing a great opportunity, because the people in the room are not just prospective clients, they’re referral sources. If you can get them to refer you, that’s that classic way of farming and not hunting. Number 6: don’t rush following up on a member referral. They know who you are; they know you’ll get back to them. Not true! When you get a referral, follow up on it immediately; that’s really important. Number 7: use one-to-ones to talk about the chapter. How many times have you seen people doing one-to-ones, and what they do is they talk about the meeting, they talk about the chapter, they talk about somebody that drives them crazy, or they talk about how the meetings aren’t being run. You’ve got to use one-to-ones to educate people about your business and how they can refer you. That’s really important. Number 8: wing it with your 60-second presentation. You’ve got plenty of chances anyway, right? So just wing it. That’s a total time waster. You do not want to wing it. One of the best examples, is to schedule your educational 60-seconds for the next year. Sit down and create a schedule for the rest of the year with your 60-second presentations. Just have the topics every week throughout the rest of the year, and then what you want to do is, a day or two before, sit down and figure out what you want to say on these topics. But plan your 60-second presentations; don’t wing it. Number 9: use your 10-minute presentation to explain minute details of how your business works. People don’t need to know the inner workings of your business, but they need to know how to refer you. So the more you can educate them on what a good referral is and how it works and what sets you aside from your competition, the better you’re going to be. Number 10: go ahead and air your grievances among your table-mates and guests. After all, we’re all adults here. In other words, spend the time that you should be marketing complaining to people about life or the business or the chapter or whatever. You’re here to generate business. Focus on the business. So these are the Top 10 Ways to Waste Your Time in BNI. WOW — fantastic comments — I am actually using this for my networking education presentation tomorrow — I’ve been in BNI for 17+ years, and it seems like people (including myself) just forget the basics!! What is considered Late at a BNI chapter? I consider that every member should arrive before the time for open networking, and arriving after that time is late. What are other chapters doing?